Rick Ellis has been producing custom handcrafted longbows and recurves since 1997. What started out as a simple urge to construct his own handcrafted longbow has turned into over a decades worth of customer happy products that can be found nearly around the world. The product speaks for itself. A simple internet search for Striker Bows will result in pages of comments and reviews from customers who all have different stories but one common theme…they love their bow. Sometimes in life things just fall into place. Striker Bows was born from a desire to harvest a deer with a small and sleek traditional bow that wasn’t available on the market, so Rick Ellis went to work building his own. Those first simple designs out of a garage in Ohio have evolved into a unique line of longbows and recurves sold across the globe. 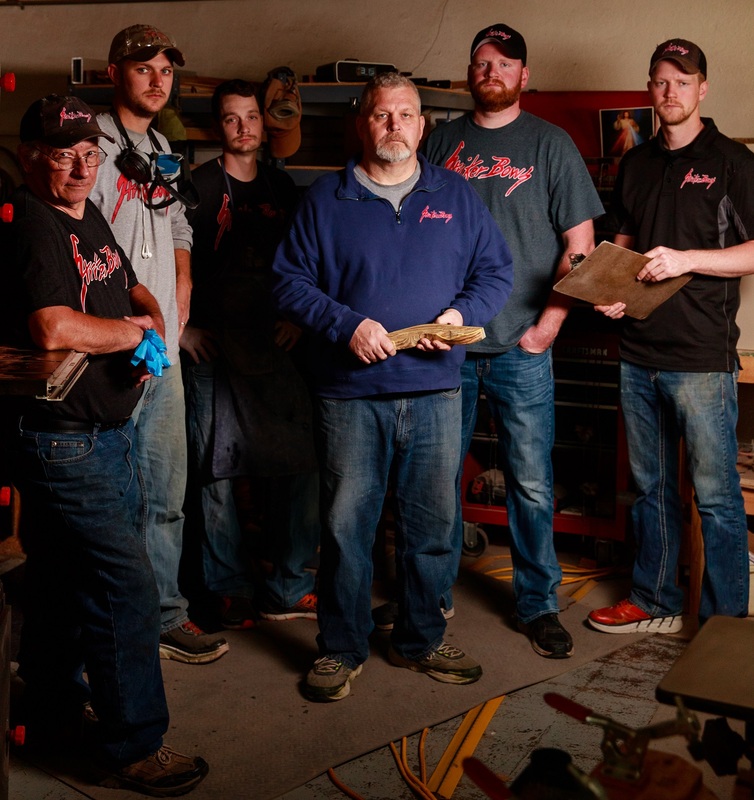 A family business from the beginning, Rick’s sons, Dusty and John, have gone from helping dad whenever needed to full partners in bringing ingenuity and performance to the traditional bow market. Twenty years of hard work and constant innovation have led to the introduction of the RK1. This bow incorporates the performance and precision that Striker is known for, while adding new options and flexibility that the modern archer is accustomed to.The drive for excellence has taken Striker from a one-man operation to one of the leading traditional bow companies in the world. The Striker Bows family will continue to work with modern technology and time-honored values to bring the traditional archer the best equipment available in the cosmos.